Professor Sushanta K. Mishra is a faculty in the area of Human Resources and Organizational Behavior. He is the recipient of the Emerging Diversity Scholar Award from National Centre for Institutional Diversity, University of Michigan. He has received the IFCI Award at Indian Institute of Management Ahmadabad for the Best Thesis Proposal. His current research interest is in the areas of diversity, identity and emotions in organizations. 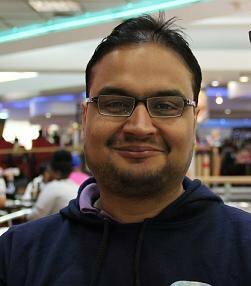 His work has been published in reputed journals including Human Resource Management, Journal of World Business, International Journal of Selection and Assessment. His paper has been acknowledged as the best accepted paper in the Academy of Management meeting held at Chicago. He is the Editor of Indore Management Journal and in the review panel of many international Journals including Human Resource Management (US), British Journal of Management, Journal of Business Ethics, Relations Industrielles/ Industrial Relations, Personnel Review. Professor Omkar D. Palsule-Desai is a faculty in the area of Operations Management & Quantitative Techniques. 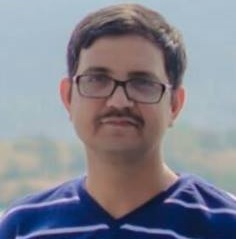 He completed Fellow Programme in Management from the Indian Institute of Management Ahmedabad in the year 2010 with specialization in the area of Production and Quantitative Methods. He also holds a Master of Science degree in Industrial & Systems Engineering from University of Florida, USA, and a Bachelor of Engineering degree from V.J.T.I., Mumbai University. He was associated with EADS-SMI Center at the Indian Institute of Management Bangalore (IIMB) as a Post-Doctoral Fellow. He has also worked with Delphi E&C – General Motors, Michigan, USA, as an Industrial Engineer. His research interests are in the area of operations and supply chain management with an emphasis on mathematical model building techniques, with a focus on a variety of operational issues in healthcare delivery systems and agricultural supply chains in developing economies such as India. 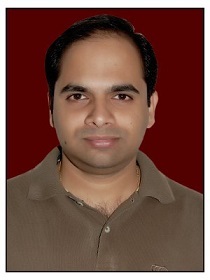 Professor Abhishek Mishra is a faculty in the Marketing Area. Previously, he has worked as a management consultant for Holcim, the Swiss giant cement maker. Following this, he worked as a research consultant with IMRB International and worked for prestigious clients like Pepsi, Frito Lays, Visa and Glaxo-Smithkline. He then had short stints in academics with ICFAI and School of Management Sciences, before he took the plunge to undertake his Ph.D. from IIM Lucknow, which he completed studying effects of consumer design perception on user experience and brand equity. His current research interest lies in the area of product management, new product development and reciprocal effects on brand attitude on parent brand. He also secured a research grant of INR 4, 00,000 from IIM Indore to support his international travel for a research collaboration at Simon Fraser University, Vancouver, Canada for a period of two months (March-April, 2016).